Theresa May’s latest ruse to finesse the issue of the Irish Border flies in the face of both political and legal reality. The plan, it is reported, is to “amend” the 1998 Good Friday Agreement in order to make a new joint Anglo-Irish commitment that there will be no return to a hard Border in Ireland and no infrastructure on that Border in any eventuality. It is argued this, coupled with some new EU concessions time-limiting the backstop, will be enough to get a decent slice of the 118 Tory and 10 DUP on board. But the mere suggestion that a British government wants to “amend” the Good Friday Agreement should set alarm bells ringing – imagine if Sinn Féin or the DUP were seeking to amend sections of the agreement on policing, say, or citizenship? The Good Friday Agreement, which allows nationalists and unionists to live in delicate parallel constitutional realities, is already rapidly corroding. Northern Irish politics is polarising, and the situation is being made worse by the bitter Brexit debate. The idea the British government, after what has happened in the last two years, is in any position to be trusted to “amend” that agreement in order to advance its Brexit agenda is extraordinary. Consider the practicalities: to amend the Good Friday deal you need the consent of all the Northern parties (whose power-sharing executive has not sat since January 2017) and the Irish Government. Is Mrs May seriously considering convening cross-party talks in Northern Ireland to do this? It is a prospect so unlikely that if you were cynical you would think the prime minister is not serious, but just playing for time. It would be legally difficult enough for the UK, as a non-EU state, to agree bilaterally with Ireland never to police the Border, but for an EU state – which shares common tariffs and rules with 26 other states – it is for the birds. 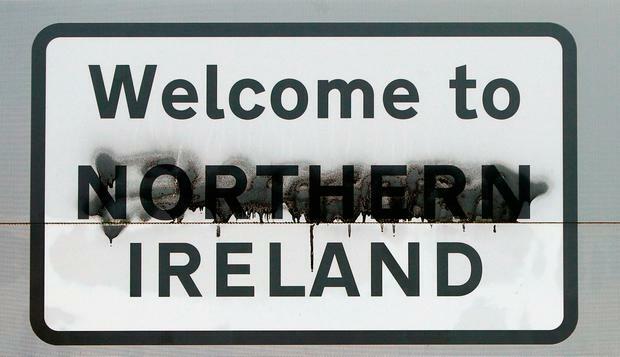 The cold reality is that Brexit and the Good Friday Agreement go together like oil and water. It is still not clear how it can continue to work under those circumstances. The fact this non-starter of an idea is being resuscitated by the government at this late stage should fill no one with confidence.